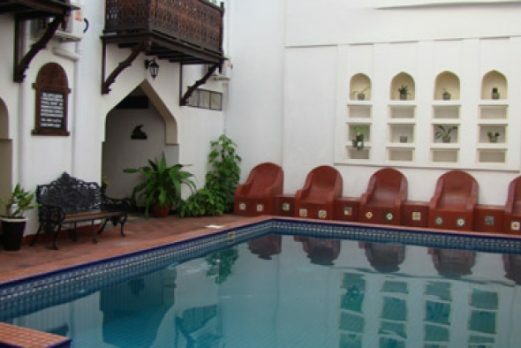 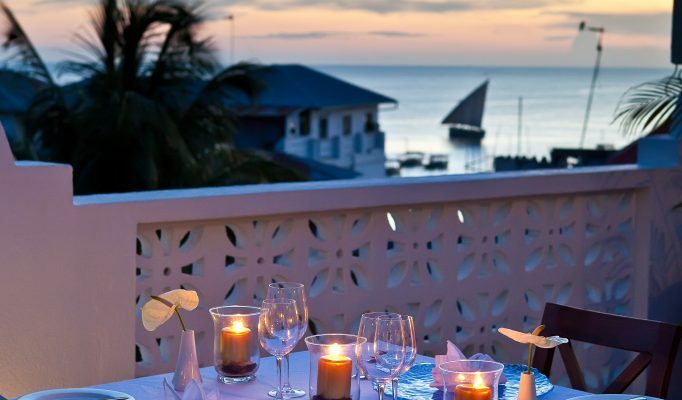 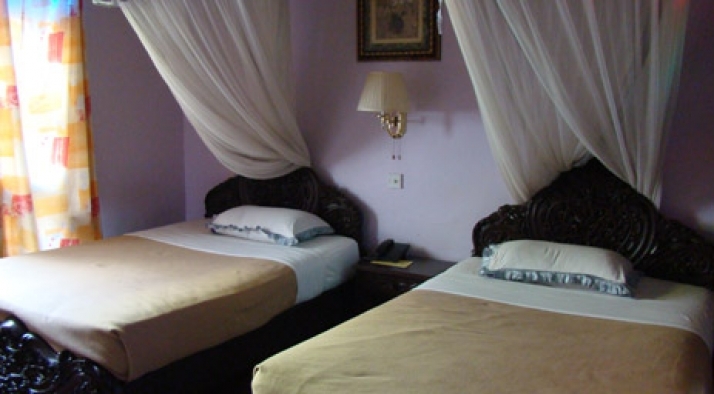 Dhow Palace Hotel is located in the heart of Stone Town. 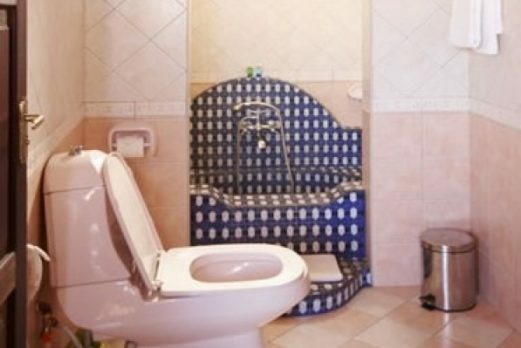 A very good mid range option with plenty of traditional character and charm. 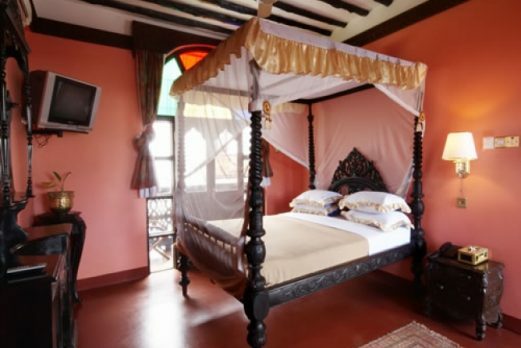 Originally the home of a rich merchant, this graceful building stood for more than one hundred and forty years before finally being restored to an elegant hotel. 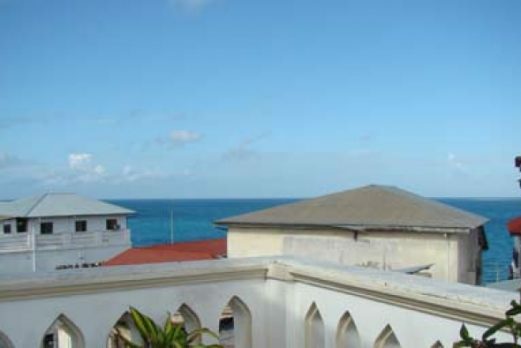 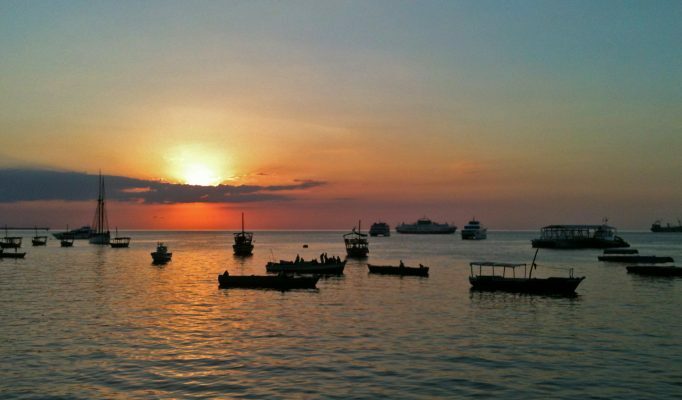 Being right in the heart of Stone Town you don’t have to go far to find the shops, restaurant and other historical attractions of this fascinating old trading port. 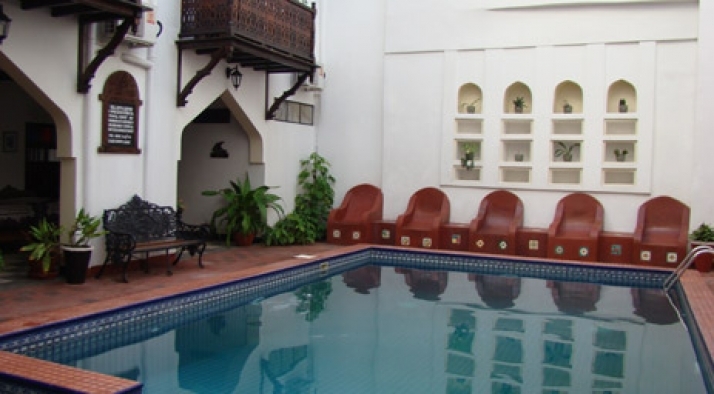 The Dhow Palace now has twenty eight rooms, fully equipped with air-conditioning, telephone, television, fridge and dryer, most of them with balconies facing the back court yard or the swimming pool. 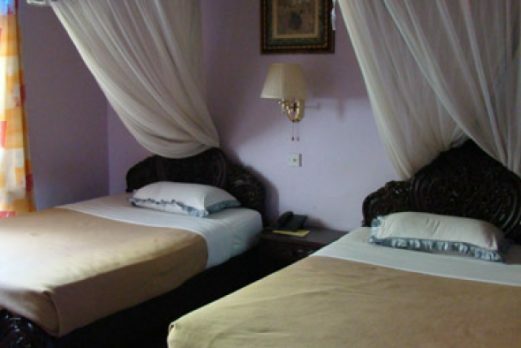 The hotel also has wireless internet access and laundry service. 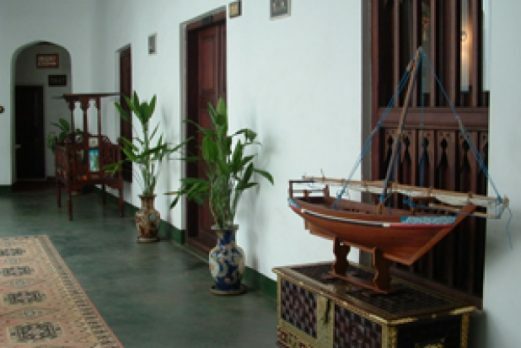 Walking around the Hotel you get the feeling of a museum dedicated to furniture and ornaments which represent all the styles which have been brought to Zanzibar over the years. 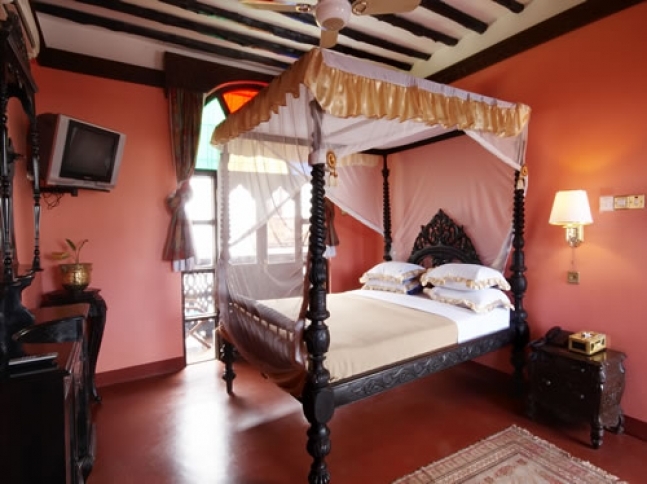 Traditional Swahili beds, wood carved Arab, Indian, Oriental and European style interiors and antiques. 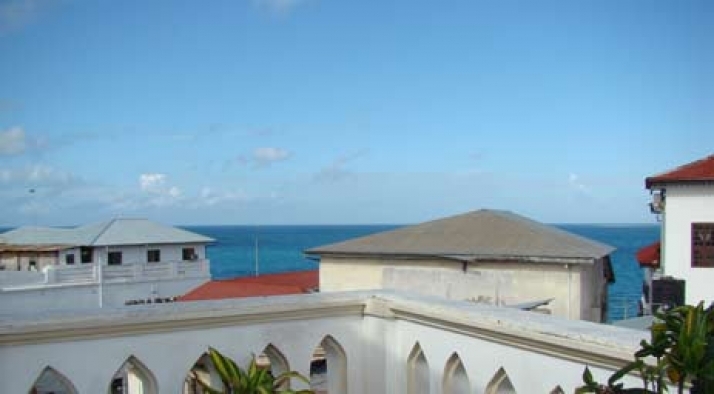 With it’s open-air interior courtyard, snack bar by the pool, roof top restaurant, spacious rooms and friendly staff this is a really good lower cost choice when spending a night or two in Stone Town.